UPDATE 11/9: Literally the day after this originally posted, the laws changed again on Cuba travel for U.S. citizens. Please refer to this page for the latest changes. Sadly, nonacademic individual people to people travel is no longer allowed. 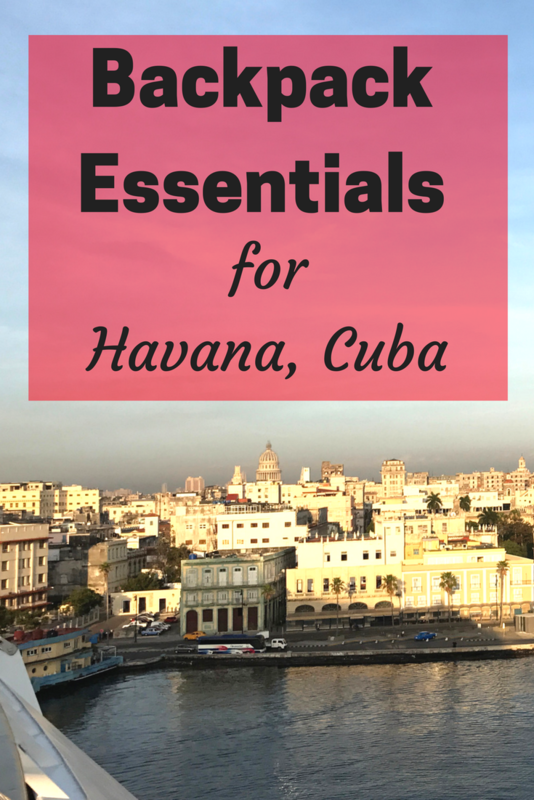 However, there is a similar travel category, “Support for the Cuban People”, which thankfully still allow eating at privately owned restaurants, staying at privately owned residents and more. To participate legally in privately owned activities, travelers must maintain a full-time schedule of “Support for the Cuban People” activities (SOURCE). The most helpful page I have found that addresses the recent changes can be found here. 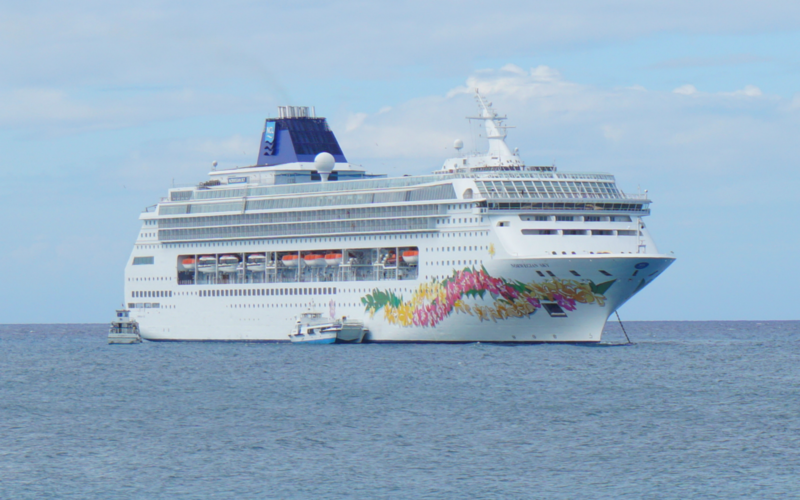 The Norwegian Sky Cruise to Havana was Amazing! I just love to cruise! I’m not sure if it is because I would rather be on a boat than a plane, but I just really enjoy cruising. 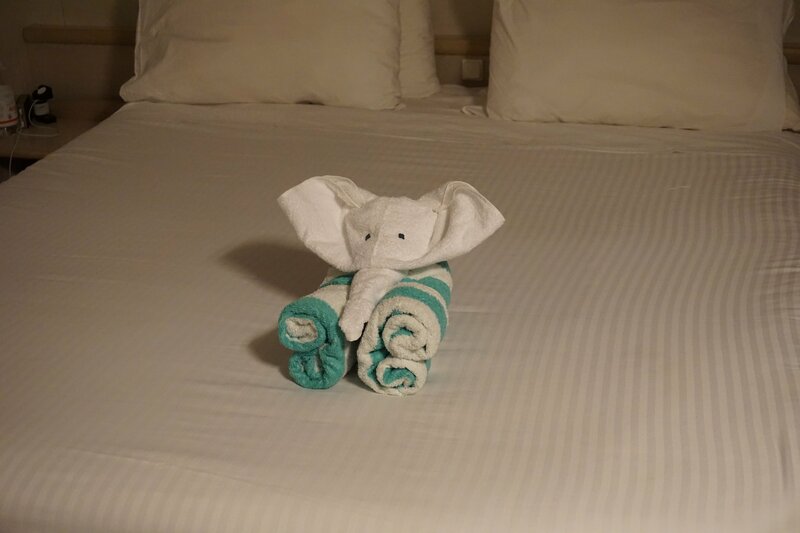 I have previously only sailed with Royal Caribbean so I was not sure what to expect. 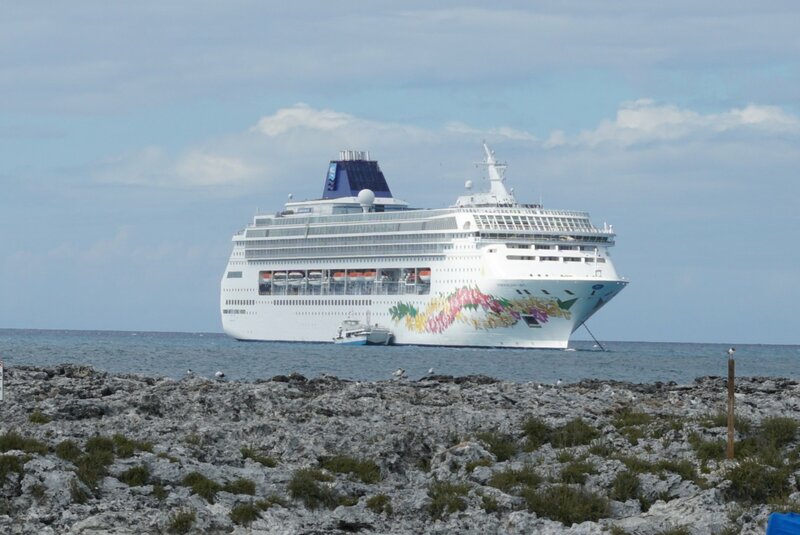 We actually sailed on the very first ship to Havana that the Norwegian Sky embarked on. Because of this, I was worried that everything would be a bit chaotic, but it was fantastic! The staff did an excellent job setting the stage for a trip to Havana, Cuba. At the port, we could not help but smile at the dancing crew members. Staff was waiting with delicious juice and a cold towel to greet us on our way back onto the ship. I have never felt like I was on a cleaner ship! People are constantly cleaning, and no one is allowed in the dining areas without a strong urge to accept hand sanitizer. Also, on the deck, we never had dirty plates on the table for more than a minute. The same person that walked around to get plates would often check if we needed refills, etc. The staff was great! I was concerned that the unlimited alcohol would encourage bad service but I did not have this problem at all. I recommend going to non-buffet breakfast on the first day for the best service. Many passengers do not realize all of the places included in the cruise fare. By day three, these places were slammed, and staff was overwhelmed. Our cabin stewardess was wonderful and friendly at all times. Everyone we chatted with was super helpful. We were always greeted with a smile on the way into the dining areas. The staterooms are much larger than previous staterooms I have stayed in. Ample storage is available, making organization a breeze on the trip. The phone, tv and decor are somewhat dated but we did not care. The in-room phones did not work 90% of the time for us. This was a bit frustrating since we were traveling in a group and of course there is no cell phone signal to communicate. We spent a large amount of time trying to track down our group. We left notes under the door for other members of our party, but many times they had already left the room looking for us. Even with careful planning, if something comes up, communicating can be difficult. There is an app for Norwegian, but it did not work for anyone in our party. Hopefully Norwegian will improve the app soon. Next time, I will purchase a two-way radio. There was always something fun going on, and plenty of options for those who do not want to leave the ship. With that said, we were in Havana nearly the entire time in the port. During travel times though, we walked around the ship a good bit. We honestly had fun watching everyone try to salsa dance while we had drinks on the deck. Like I mentioned before, avoid the buffet the first day to avoid chaos. The buffet is called The Garden Cafe. The indoor buffet is always more crowded than outdoors. For the most part, the food is the same on both buffets but I did see an occasional extra indoors. Try out the II Adagio on deck 11 for delicious waffles with mouthwatering toppings. On the first day, there was no line at all but by day three, the secret was out. If you want to go after the first day and stay out of the crowds, arrive as soon as possible. Looking for a caffeine fix without plain old coffee? Head to The Coffee Bar on deck 7 for specialty coffee. These are not included but are very good if you get a hankering for something different. If you are vegetarian or trying to eat healthy, you can order a veggie burger but you can only order those inside. The line is surprisingly long for this and allow five minutes for the burger to cook. I was more impressed with other options on the buffet and was able to find lots of vegetable sides. Because of time limitations, we went to the buffet for quick dining the rest of the time. Keep your eyes peeled for themed food on the day of arrival to Havana. There were Cuban sandwiches that looked amazing! Since I am vegetarian, I did not try one but the rest of our group really enjoyed the Cuban sandwiches. If you see them on the buffet, get them while you can because they get gone FAST! 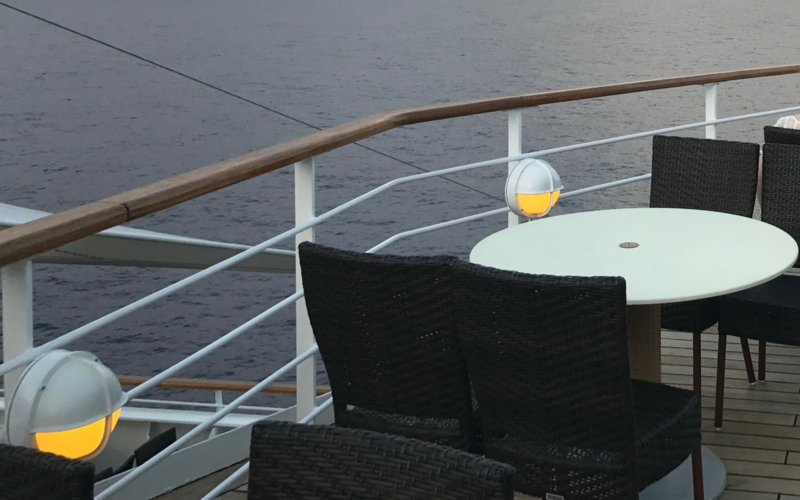 After the first day, if you are in a hurry or sleep in, go to the buffet on the aft deck outside. Many people go to the indoor buffet so the outdoor line is much faster. Plus, you have a stunning view while you eat! Dining is freestyle, meaning there are no set dining times. Freestyle dining was so much better for our group since we didn’t want to rush. If you prefer a set dining time, you can select that option as well. 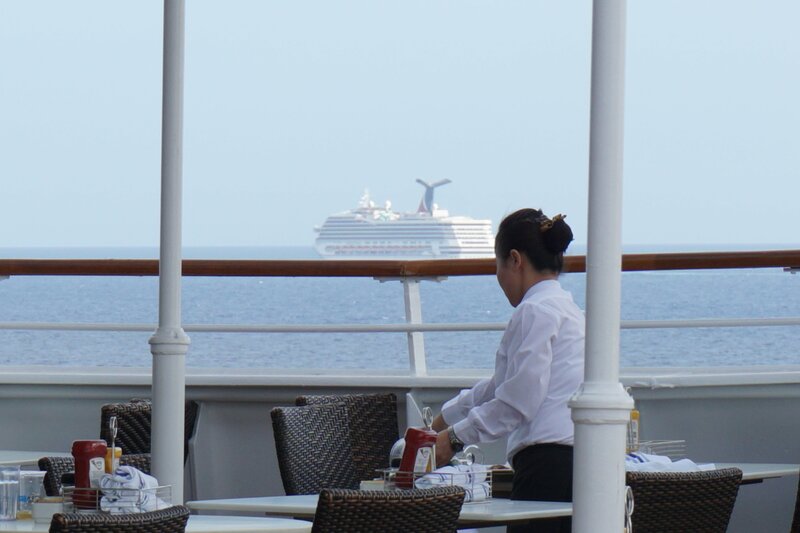 The best overall dinner we had on the ship was at Crossings, the main dining room included with the cruise. A reservation is recommended but some people were able to get in by walking up. Everything I tried was delicious. Plus, you can order as many appetizers, entrees and desserts without an extra charge! I love this because you do not have to worry about paying a huge amount and not liking something. Dinner at Crossings is a culinary experience and offers the most bang for your buck since it is included. Picky eaters can be satisfied too. The vegetable spring roll was my favorite vegetarian option and the rest of our group raved over the meat lasagna. Dessert changed nightly. We did eat at Cagney’s one night, which was not included. The atmosphere was very nice and private, and the view is very nice during the day. Half of our party had to leave early due to motion sickness but Cagney’s had the food sent to the stateroom. The staff was very attentive! First of all, let me say that we had a blast on this tour. We did have a few issues though, but nothing that was a huge deal to us. We were scheduled to leave at 8am (SO early for rum, right? Apparently not in Havana! ), but we were delayed for unknown reasons for over an hour. According to Norwegian, this was out of their control. We had to wait in an auditorium to be called, but we did have the option of a refund. We just decided to stick with the tour. When we got on the tour, the distillery we were supposed to go to was all of a sudden closed. The bus driver got us there, but we were not able to get in. Again, no real reason was given, so we had to go a different direction. 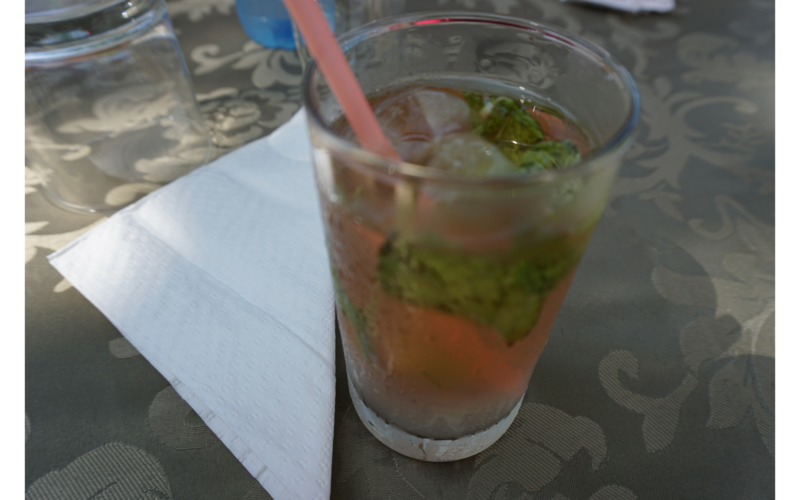 Luckily, there was a private restaurant that hosted us where we were given generous samples of Cuban rum. We also were given cigars that were available for purchase. We bought a few of the less expensive cigars (Romeo & Juliet), and they still gave us a cool cigar box. The cigar box is one of my favorite souvenirs from Cuba. Read about the best souvenirs to buy in Cuba here. The art was 100% about the Revolution and was packed with propaganda. Great photo ops are available if you are interested in Cuban propaganda. Many people on the tour were frustrated with this. My favorite part of the tour (besides tasting the out of this world rum) was interacting with our guide. She was open to answering any questions and repeatedly asked us if we had questions. I felt like she gave an honest response. Thanks to being a private sector tour guide, she was able to purchase her very first house. Before she started offering tours, she only made $30 per month. She also shared an apartment room with multiple other extended family members before finally being able to buy herself a home. We actually did not book this tour through the ship. This will likely not be possible for much longer due to the ever-changing laws on US-Cuban travel. This method is not for everyone and if you have the means to book through Norwegian, go for it! I felt safe negotiating with the locals and we definitely got our money’s worth. 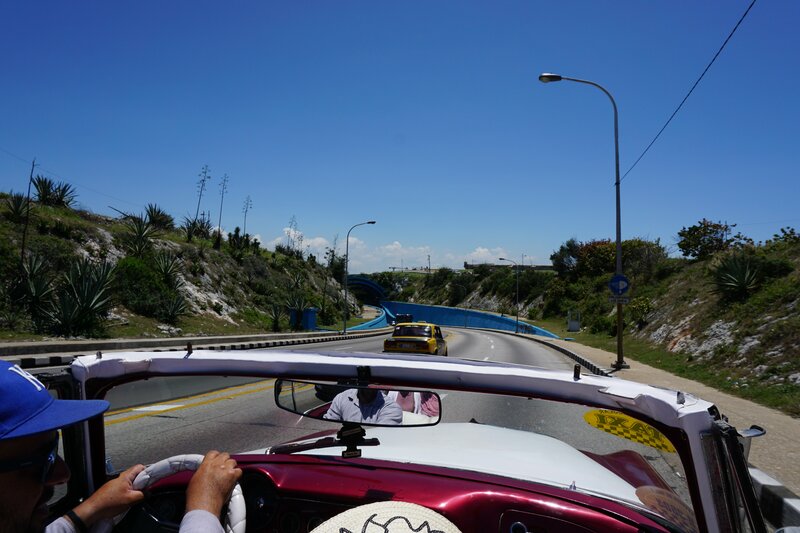 If you do not partake in any other tour, the Classic Car Tour is a must! We all had the most fun on this tour. We paid for the convertible option and it was a blast! This is surprisingly a good option to escape the heat too, due to the breeze. Please remember the sunscreen though! Before you start the tour, you get to pick a site to travel to. Depending on the amount of time you rent the car, you may be able to see more than one site. We paid for an hour but our guide went way over and he was amazing! 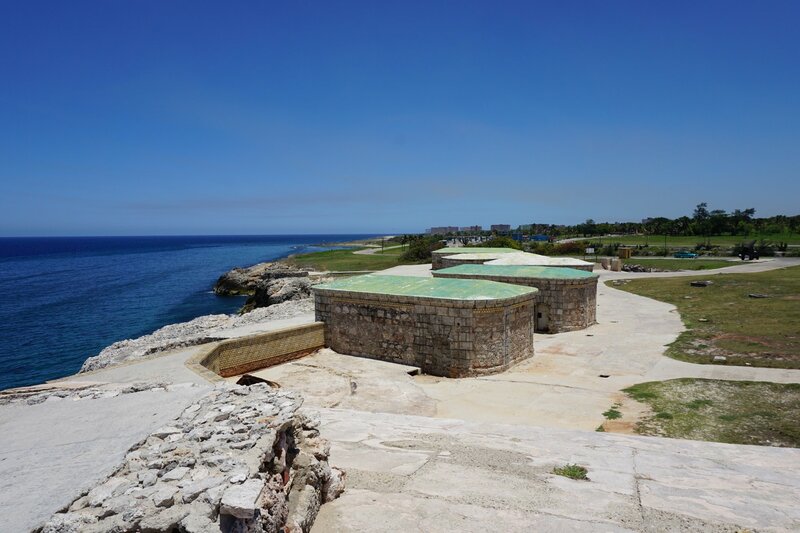 We went to the Morro Castle which was the perfect place to take beautiful pictures of the city from the top of a cliff. I have to admit, this tour was not on my wish list, but I am so glad I did it! This tour was another great way to interact with a local. If you want to get pictures of several popular places in one tour, this may be the best pick for you. Our guide stopped us at every spot so we could get out and take pictures. He also took pictures of our group several times and informed us about the attraction. After the tour our guide took us to a privately owned restaurant for lunch (not included in the price). I felt like we were in on a secret place that no one else knew about. We followed the guide up a narrow, winding staircase to the rooftop of the restaurant. Two musicians played while everyone enjoyed drinks and food. Be sure and ask to see the prices before ordering anything. The prices were very steep on many menu items (compared to other places we found in Havana). This is definitely a tourist inflation so be sure and budget extra so you have enough currency if you are interested. I felt completely safe at all times during our trip. The people are absolutely amazing, inspiring and resilient. Cats roam the streets, dogs are taking naps around every corner. I was in paradise! However, I really wanted to adopt all the animals. Food was good but dining was difficult due to extremely high heat with no air conditioning. 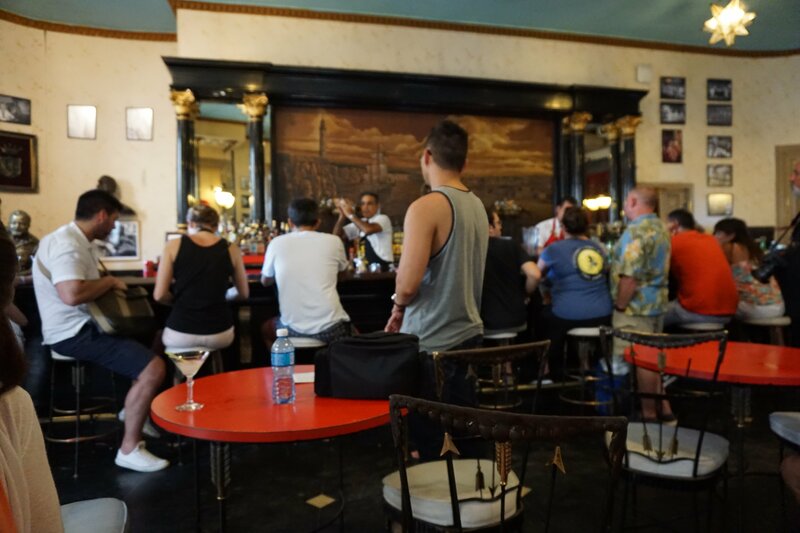 Service is very slow and that is just the pace in Havana. Most places had some kind of entertainment while dining or drinking, such as singing and dancing. I wish we would have had more time to enjoy the incredible talent of local Cuban artists. Photography is a breeze because everywhere you look is the opportunity for an incredible capture. The architecture is wildly impressive and the landscape is stunning. 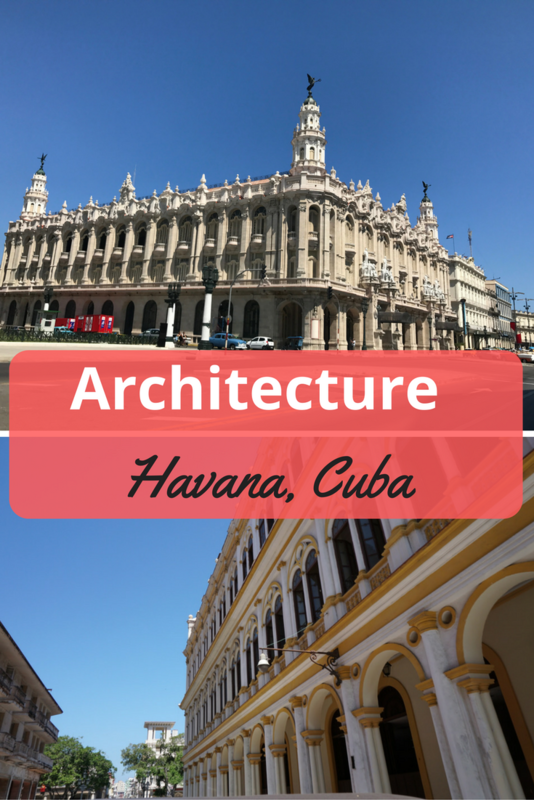 Traveling through Havana is like traveling through time. 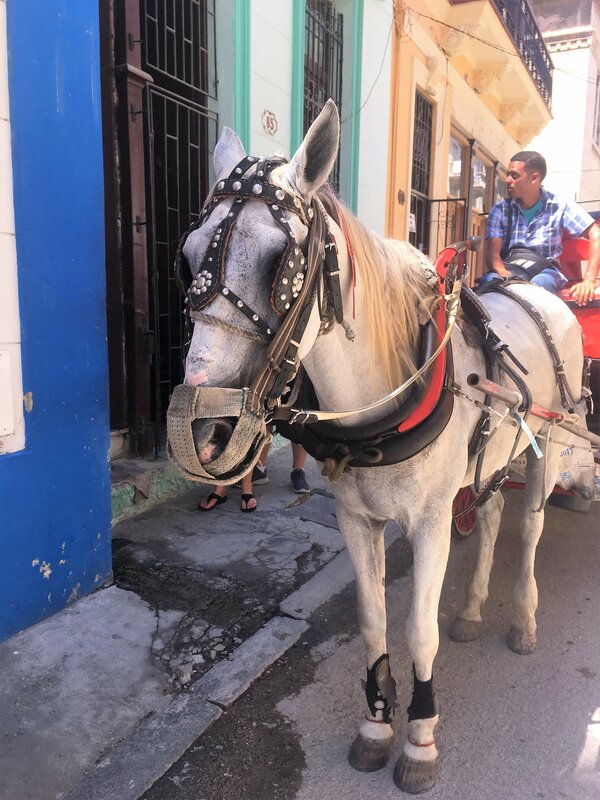 Full time schedule: If you are a U.S. traveler, you are required to “maintain a full-time schedule of educational exchange activities that are intended to enhance contact with the Cuban people…” (via Treasury.gov). People-to-people travel will end soon but is still allowed until the new OFAC travel regulations are announced. Be sure and do your research before you book the trip to make sure you are following current regulations. I called Norwegian every time I had a question and they were happy to address all of my concerns. 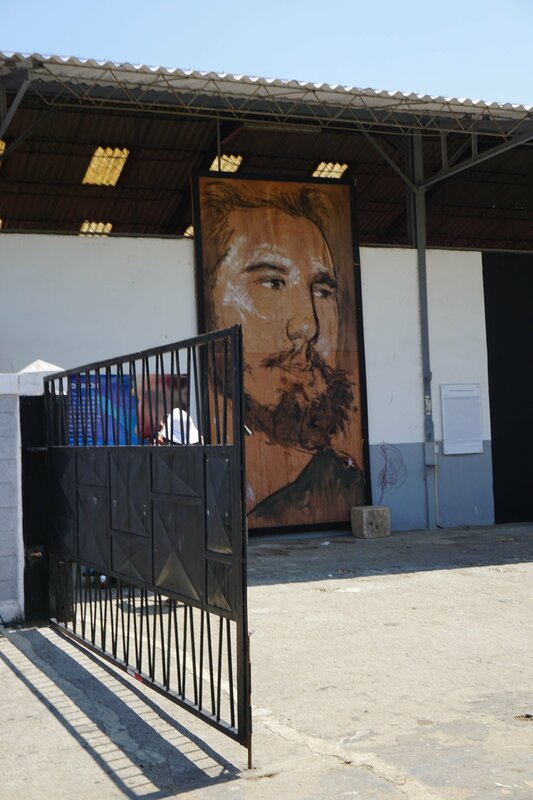 Getting from the ship to the Havana terminal: Once you exit the ship, you will walk through the terminal. Be prepared with your passport and your Visa (U.S. travelers). They will snap a picture and take your Visa. Once you get through, you can get in line for security. Very similar to airport security, just grab a bin and put in your belongings. Walk through the metal detector and pick up your bin after it comes through. Currency: You can exchange currency in the terminal. This was a very fast and easy process! 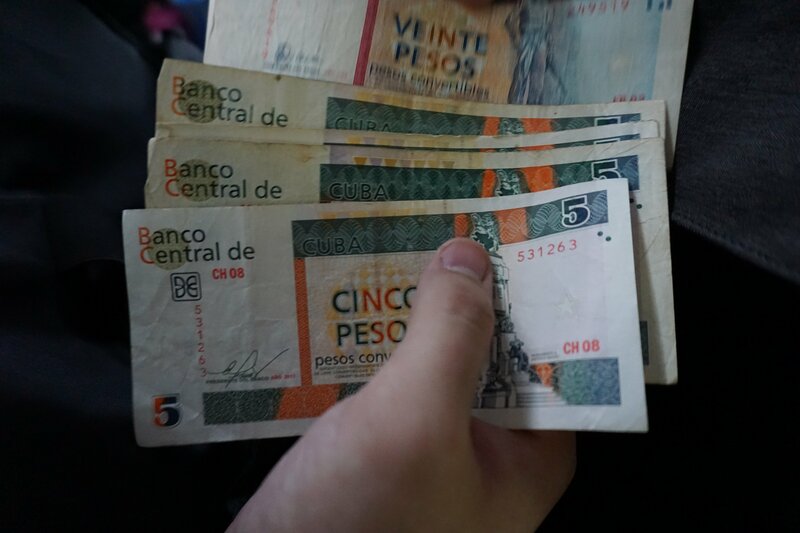 Be sure and ask for small coins when you exchange currency for using the bathrooms and tips (more on that here). Go with the flow: Cuban time has a MUCH slower paced personality. Go with the flow for the best experience! Motion Sickness: If you are prone to motion sickness, be sure and ask for a couple of green apples and crackers. If the phones are down, room service is not reachable and being stuck with motion sickness is no fun! We also packed motion sickness meds in our carry-on. Wrist bands are not effective for me but green apples and crackers worked like a charm! 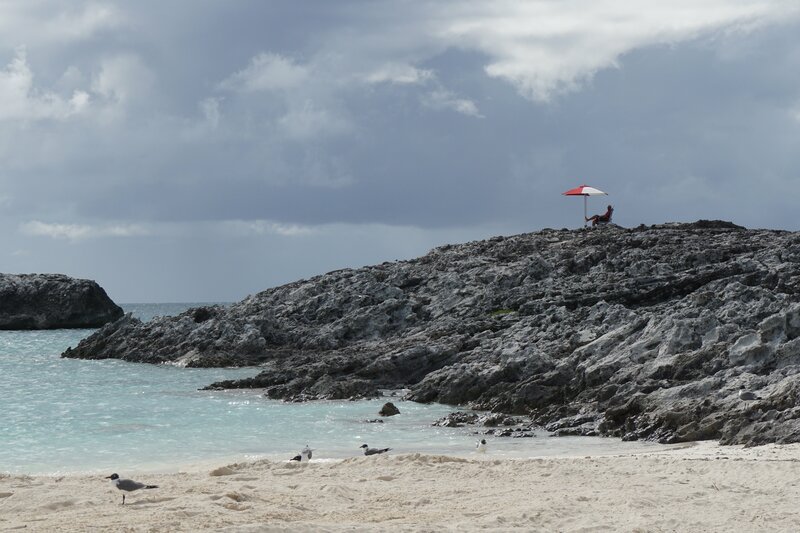 Great Stirrup Cay is gorgeous. The water is beautiful and we spotted lots of cool creatures in their natural habitat. I think we would have had even more fun if the weather had been a little better. I strongly recommend getting a cabana if you are there in April-early May. The heat was just unbearable so we rented a covered chair, but the cover didn’t make a difference. If you are not super pale like me, you can probably cool off in the water. We didn’t stay in the water too long because I was so paranoid about getting sunburned. Another bummer was that the ship was running behind on getting everyone over to the island. Since it started storming later that day we also had to leave a bit sooner. If I were to do a Cuba cruise again: I would not select the cruise that includes the Bahamas day. There is another sailing that cruises to Havana as well as Key West. I think this would offer more bang for your buck. FREE alcohol: The Norwegian Sky includes unlimited alcoholic beverages! This can save you hundreds of dollars. You can even score free premium drinks on the private island. The only alcohol I paid for on the ship was one glass of Frosé, because I had never tried it before (it was $1.95). No hassle at the airport: I have heard horror stories of travelers from the U.S. flying into Cuba. Not everyone has this experience, but arriving by boat felt pretty easy! Large Basic Staterooms (as mentioned previously). Unbelievably clean ship (as mentioned before). Quicker access to rooms than other cruises I have been on.